I would like to you meet someone who has been in my life for as long as I can remember. I thought I had lost her in Kenya last summer, but she reappeared during an intense training session. Meet my Inner Slave Driver. She lives somewhere in the depths of my mind, and she likes to throw caution to the wind. She doesn’t know how to listen to my heart or body, let alone common sense. She’s all about performance, at any cost. Somehow she sneaked into my training sessions. She cheered me on, and then she criticised me, and she made me run – or, more precisely, perform – one marathon after another. Training with her meant focusing more on speed and mileage than on my heart rate or how I was feeling. Sometimes the consequences were little short of disastrous. When I was training in Kenya last summer, I thought for a moment that I had lost her somewhere on the savannas. 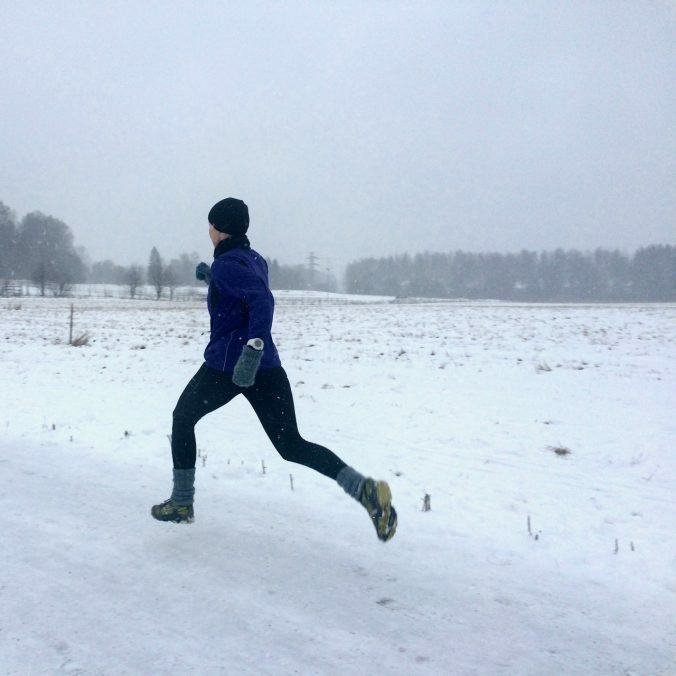 I could no longer hear her, and I rediscovered the joy of running: my own rhythm and my ability to enjoy movement. The local environment and culture of running had a healing effect on me. 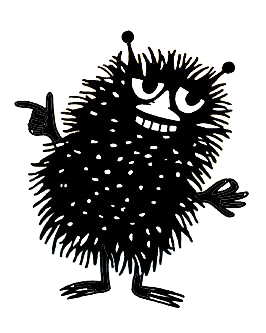 I picture my Inner Slave Driver looking like Stinky, the trickster from Moominvalley. Last week, during speed endurance training, I heard a familiar voice: my Inner Slave Driver was back. I’m not sure what brought her back. Was it because I’m following a systematic training programme for the first time in a long while? Or was it because I was a little nervous about my first intense training session since the Athens Marathon last November? I noticed her when I realised that I had not been listening to my body and had not stayed within my heart rate limit. My Inner Slave Driver kept telling me that I should just finish the training session as soon as possible, so I could be happy that it was over and done with. She kept focusing on speed and distance, ignoring my heart rate. She also suggested that I should save time on the low-intensity recovery periods, as that would enable me to complete the session sooner – to get it over and done with. Fortunately, it dawned on me that she was making no sense. It was an interval training session, with ten-minute high-intensity periods followed by two-minute recovery periods. During one of the low-intensity periods, I realised I was not training as effectively as possible. The most important aspect of training for me is ensuring high quality, which means staying within the predetermined heart rate limit instead of running aimlessly. During the next high-intensity period, I focused on my posture, one body part at a time: arms, core, legs. Even without looking at my heart rate monitor, I could sense when I was nearing or exceeding the limit. At that point, I slowed down a little. I think my Inner Slave Driver got bored and left me alone. When I was warming down, I felt genuinely pleased with my high-quality training session, and I was happy about having been able to focus in spite of the interference. It took me many years to recognise my Inner Slave Driver, and it took me an equally long time to come to terms with her existence. At the moment, I’m learning to deal with her. I’ve noticed that the best way to deal with my Inner Slave Driver is to not waste energy on trying to deny her existence. Instead, I focus on listening to my body and thinking about the training session in relation to my goals. Thinking is always allowed, even during running practice. There are times, however, when I miss my Inner Slave Driver. I could really use her when I need to hoover, fold the laundry or wash the windows, for example. At those times, she is nowhere to be found.